One of my favorite holiday movies from childhood is Rudolph. I loved the type of animation used, the characters, the music, and Burl Ives’ voice and likeness. It was engaging in every way. And who couldn’t see him/herself in Rudolph in some way? Like many of us, he was the misunderstood, under-appreciated, awkward kid who didn’t fit in. All he needed was time and experience to find his unique talent and courage to grow into the buck he would become. Of course, I always thought Santa could have been more compassionate…why can’t everyone have a chance to be on the team? Why so much competition? 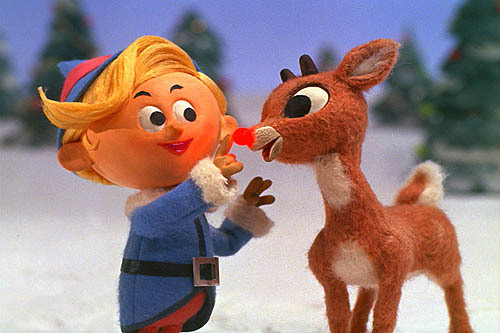 I also liked Hermey, the elf who wanted to be a dentist. Who says an elf has to make toys, right? So now it’s your turn! Vote for your favorite holiday film. You can choose from the ten movies below, or write in your own if it’s not listed. Happy Holidays!